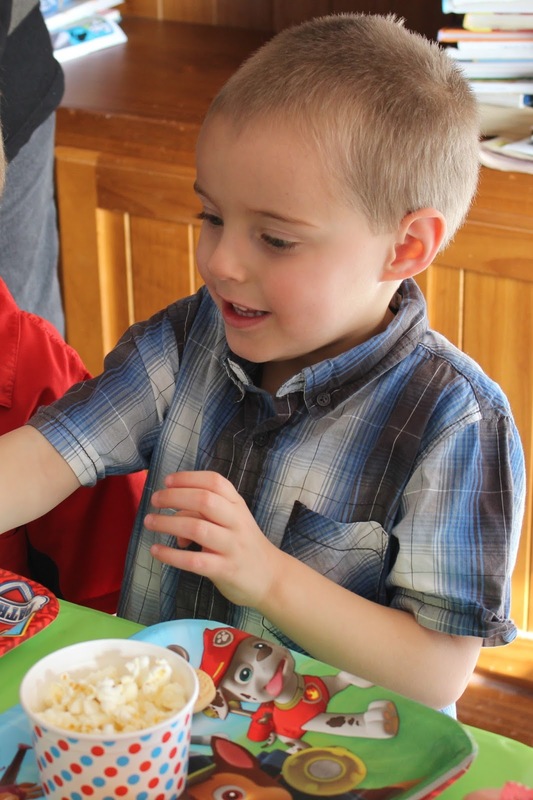 My youngest son recently turned four, and after talking through a few themes, he decided on a Paw Patrol party. First up was the invitation- I used my Cricut to print and cut the images, as well as my Cricut pens and the CTMH Magical Paper for the background. 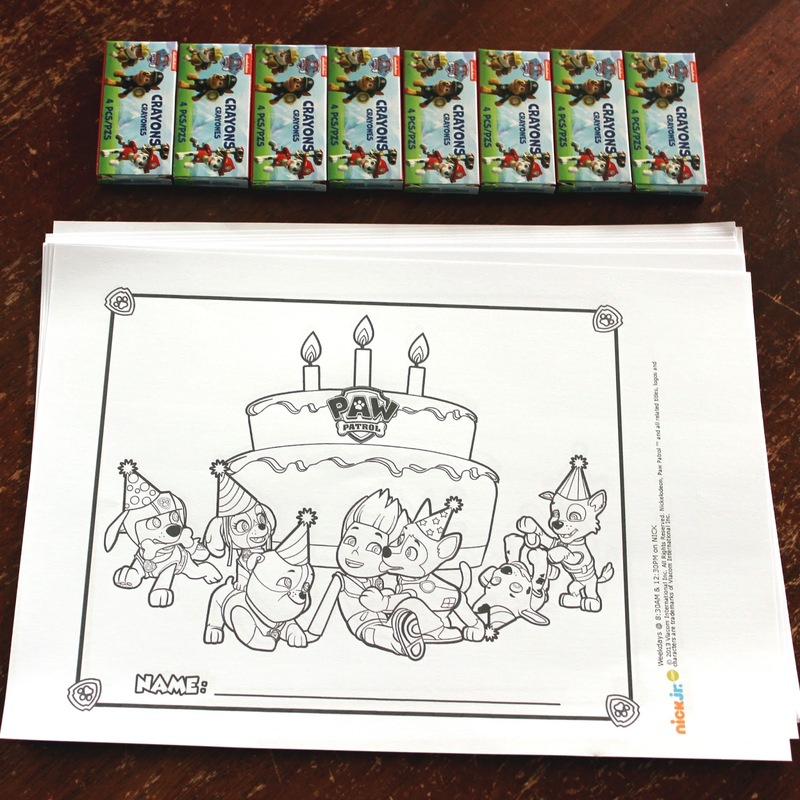 When guests arrived, they were invited to colour in a birthday themed Paw Patrol colouring page with some Paw Patrol Crayons, which they got to keep. 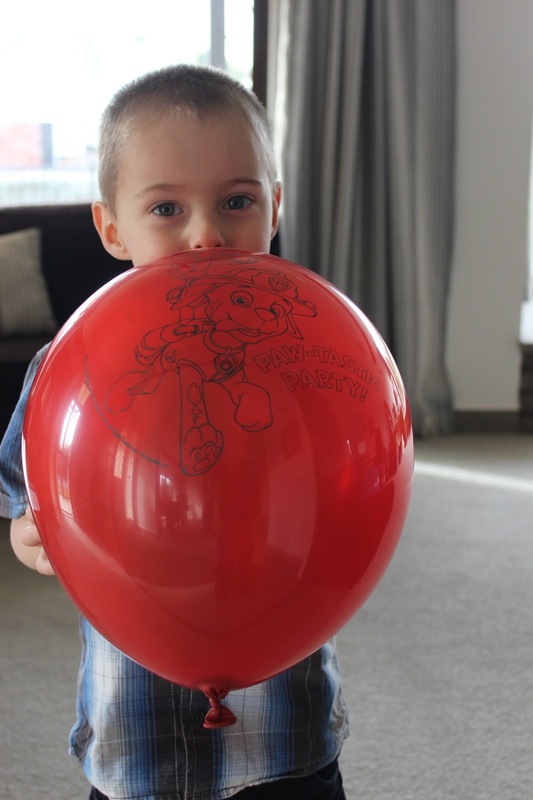 This activity was very popular with little hands! We did not have a lot of decorations this year, but one thing that the birthday boy insisted on were Paw Patrol Balloons. 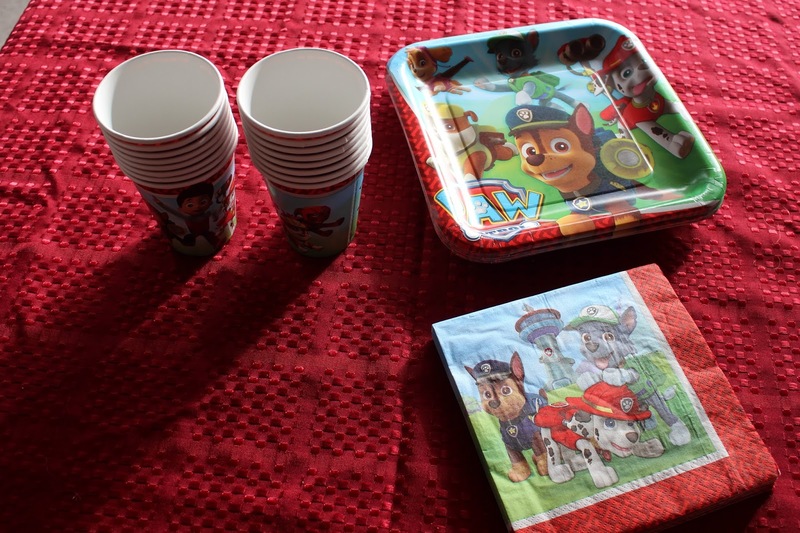 A party wouldn't be complete without tableware- so we had Paw Patrol napkins, plates and cups for the party guests to use. 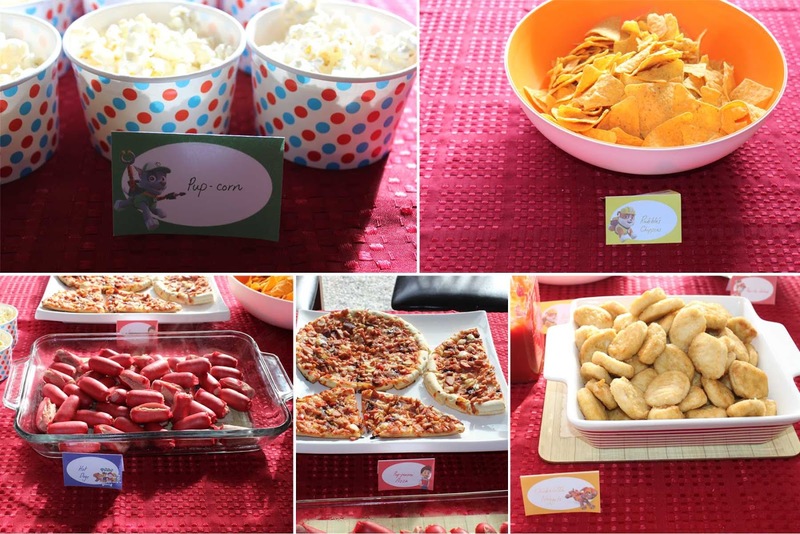 The party was held at lunch time, so we had a variety of hot and cold food, with sweet and savoury options. 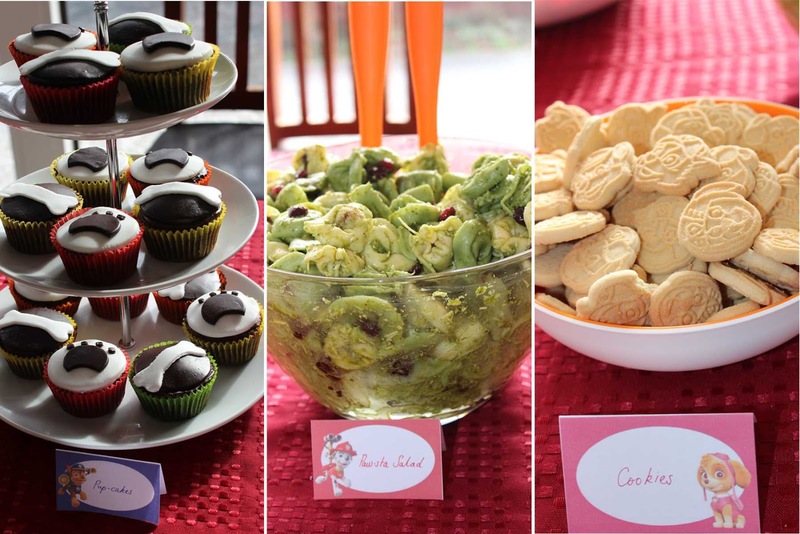 All the food was labelled using these free printables. 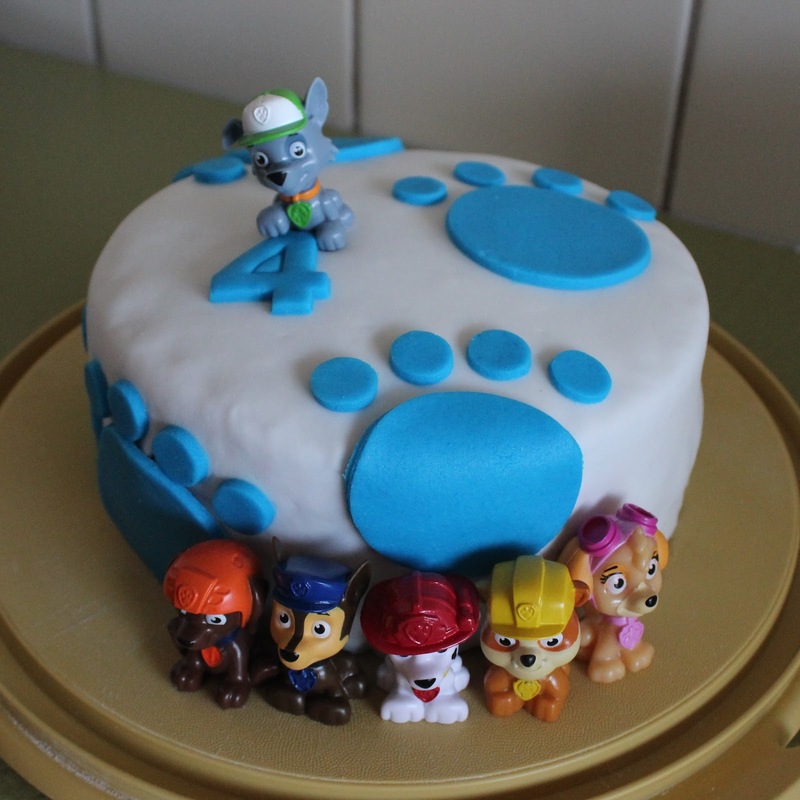 We had paw and bone Pup-cakes (made using chocolate and white fondant, plus circle and bone cutters) Paw-sta salad and Paw Patrol cookies. I served Pup-corn in these cute icecream cups, and we also had Rubble's Chippies, Hot Dogs, Pupperoni Pizza and Chickaletta Nuggets. 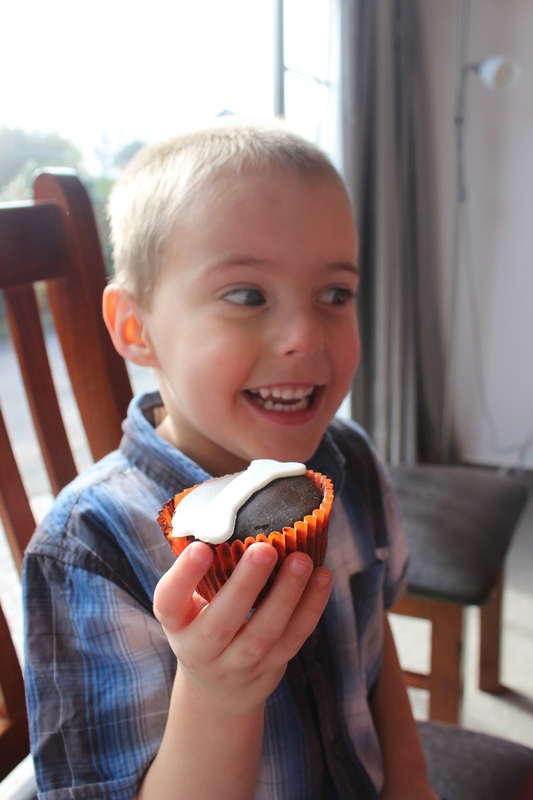 The birthday boy approved of everything, especially the cupcakes! 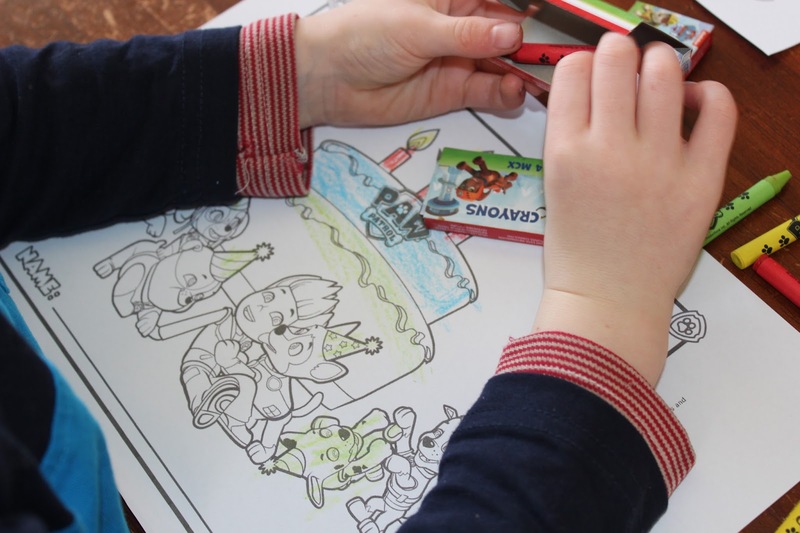 The children ate at a table covered in a green tablecloth and we also had green cutlery to use, as Adam's favourite character is the green dog, Rocky. After little tummies had been filled, it was time to play a game. 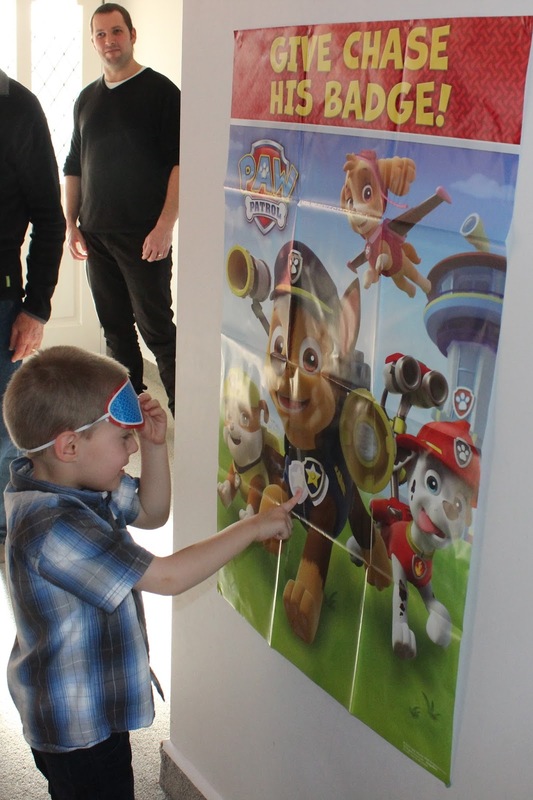 I used this giant poster game of sticking the badge on Chase, which brought out the competitive side of the kids! Of course, you can't have a party without cake! I used more white fondant as well as some bright blue fondant with my circle cutters to create some paw prints over a double layer chocolate sponge cake. 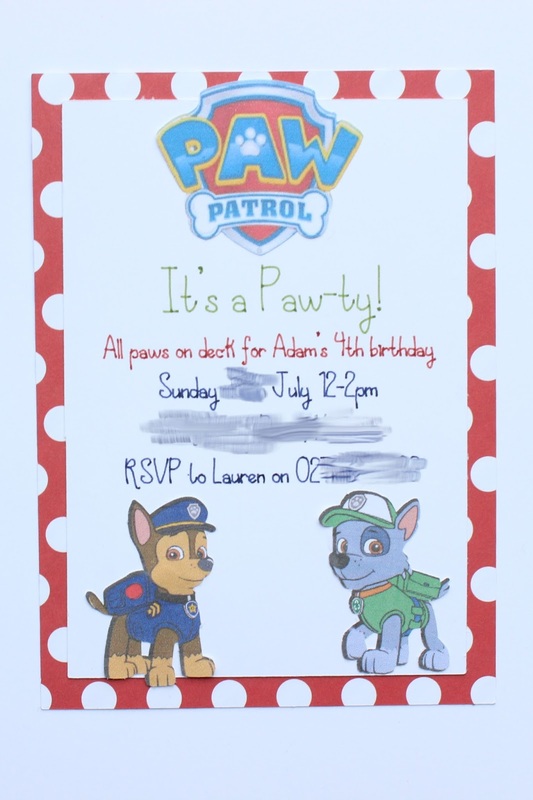 I had considered creating all of the Paw Patrol characters out of fondant, but I found these figurines on super special and so decided to use those, as then they could be used again for Adam to play with. 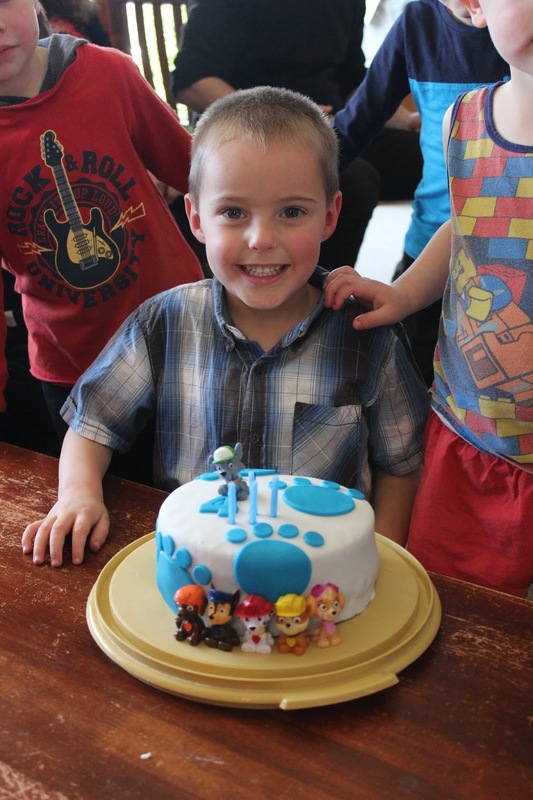 Happy birthday to our little dynamo- his Paw Patrol party was a great success and we had one tired but happy boy at the end of it. A huge thank you to Sweet Pea Parties, The Make Company and The Warehouse for the supplies used to create this Paw Patrol party! 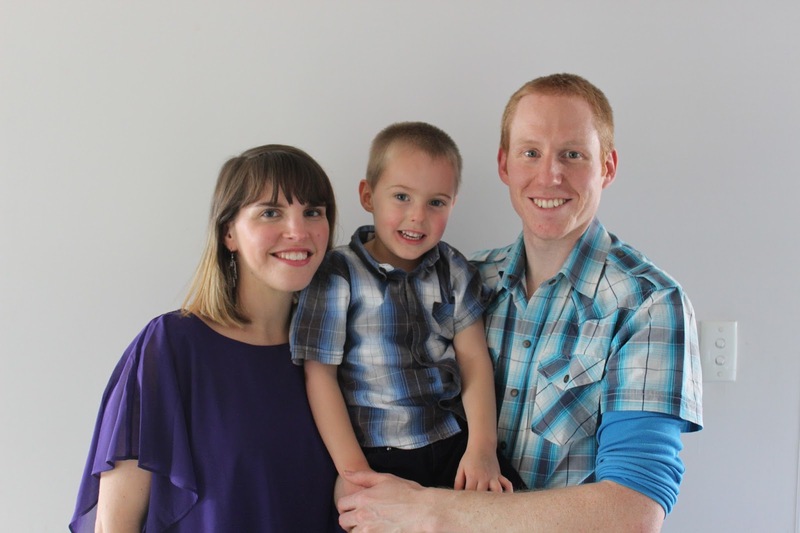 What a fun party and that cake looks great! That Paw-sta salad looks delicious! It looked like a great party!! I'm sure the little man loved it.